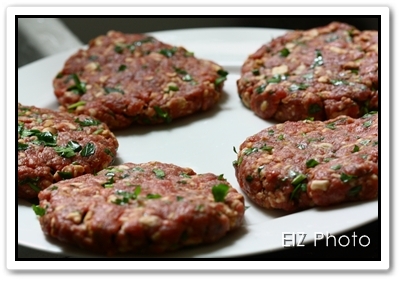 I have always wanted to make my own burger patties as I know burger is one of my husband’s favourite food. Since lately, I found that Jamie’s recipes are superb and easy, I tried out his ‘a cracking burger‘ recipe. I must say… it’s seriously yummy! 1. Wrap the crackers in a kitchen towel and smash up until fine, breaking up any big bits with your hands, and put them into a large bowl . 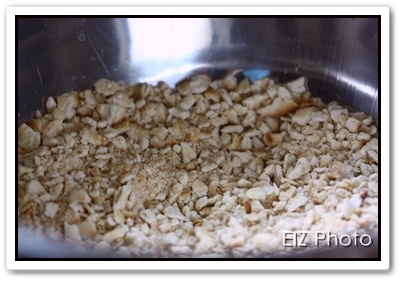 Or you can use the food processor. 2. 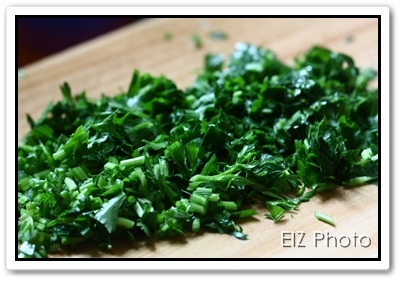 Finely chop the parsley, including the stalks. 3. 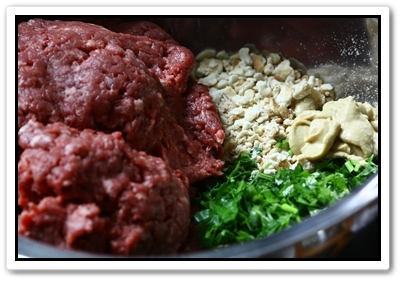 Add the parsley, mustard, and ground beef to the bowl. 4. Crack in the egg and add a good pinch of salt and pepper. 5. With clean hands, scrunch and mix everything up well. 6. Divide into 6 and pat and mold each piece into a roundish shape about 3/4 inch thick. 7. Drizzle the burgers with oil, put on a plate, cover and place in the refrigerator until needed (this helps them to firm up). 8. If you don’t intend to eat all the patties, store them in the freezer. Place pieces of plastic wrapper in between the patties. Remove from the freezer 30mins before cooking. 1. Preheat a large grill pan or frying pan for about 4 minutes on a high heat. Turn the heat down to medium. 2. Place the burgers on the grill pan or in the frying pan and use a turner to lightly press down on them, making sure the burger is in full contact. 3. Cook them to your liking for 3 or 4 minutes on each side — you may need to cook them in two batches. 1. Wash and dry a few small lettuce leaves, tearing up the larger ones . Slice the tomatoes • Peel and finely slice the red onion. Slice the pickles lengthways as thinly as you can. 2. Place all this on a platter and put in the middle of the table with plates, cutlery, ketchup, and drinks. 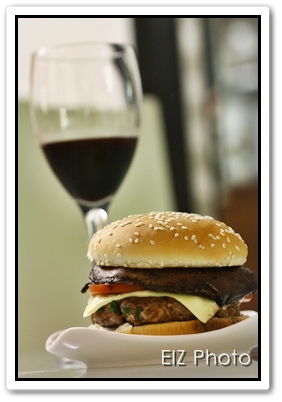 Remove your burgers to another plate and carefully wipe your frying pan or grill pan clean with paper towels. 3. Halve your burger buns and lightly toast them on the grill pan or in the frying pan • Also great with a chopped salad.